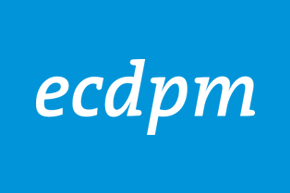 In this issue, we include ECDPM articles, videos, podcasts and media coverage you might have missed in July. High on the agenda of course is migration and we feature a blog by ECDPM’s Anna Knoll and Asmita Parshotam which looks at the EU’s approach to ‘root causes’ of the current unprecedented levels of migration from Africa and the Middle East. In July we also saw the Third International Financing for Development Conference in Addis Ababa, Ethiopia. James Mackie was there and shares his thoughts on the next steps between ‘FFD3’ and the upcoming summits and conference on development, trade and climate change. Other issues included look at the future of the ACP Group, implementation of the Sustainable Development Goals, and food security. Migration – Ask the right questions, get the right answers. The EU aims to make concerted efforts to address the situation of migrants arriving at its borders. While it has ambitions for ‘comprehensive’ action and pursues various policy avenues, the comprehensiveness of action is constrained by how the debate is framed. An example is the focus on root causes of migration, which has done little to foster a balanced and comprehensive view of what is a very complex issue. ECDPM’s Anna Knoll and Asmita Parshotam argue that rather than framing migration as an issue that needs to be addressed ‘out there’ through development aid, EU leaders should also look more ‘at home’ to which policies can be reformed to support and create sustainable livelihoods in its neighborhood and beyond – including for current and potential future migrants. The Cotonou Partnership Agreement between the African, Caribbean and Pacific (ACP) Group of States and the European Union, expires in February 2020. The European Commission and the European External Action Service hosted a series of roundtable discussions with experts, including ECDPM, this year to prepare for a public consultation and eventual EU negotiating mandate on the future of the partnership beyond 2020. This report summarises the discussions held on: i) what kind of partnership do we want? ; ii) the future framework for international cooperation and development policy; iii) means of implementation; iv) stakeholders and institutions; v) regional integration and trade; vi) global challenges; and vii) demographic developments. There was consensus that a future agreement should take into account factors such as: i) the changes that have taken place in global geopolitics; ii) new emerging challenges and regional dynamics; iii) the heterogeneity of the partners; iv) the Cotonou acquis; v) shared universal values; vi) EU specific and mutual ACP-EU interests and vii) the flexibility needed to deal with changing circumstances. If the degree of consensus achieved in the process for the Third Financing for Development Conference (FFD3) is anything to go by, the omens look good for the post-2015 agenda and the agreements that need to be achieved for a new set of UN Sustainable Development Goals. This was just the first hurdle to cross out of three international fora in 2015, but all things considered it went reasonably well. This bodes well for the UN General Assembly in September. But December’s COP21 Climate Summit in Paris is another matter, writes James Mackie in our latest Talking Points blog. Mackie was in Addis Ababa this week with our Press Officer Emily Barker, to discuss with many of the 7,000 delegates the importance of implementing clear policies to use finance effectively for development. He spoke at a side event on ‘ODA and Fragile Environments: The shift of Development Finance and Assistance in the Post-2015 Agenda’ and was interviewed by several African media organisations, including the Addis Standard and Addis Fortune.